Read all the latest news about Bunker Holding. ShippingWatch gives you independent, credible, critical and fair news. The Danish bunker company delivered an improved result in the latest fiscal year, a period in which several industry players reported difficulties. "This is a period in which the sheep are separated from the goats," CEO Keld R. Demant tells ShippingWatch. The owner of one of the world's top bunker suppliers has spent years working on the strategy for the family-held company's ownership going forward. Now the plans are ready, also for Torben Østergaard-Nielsen himself, he says in an interview with ShippingWatch. Two events are behind the changes in the bunker market that made Bunker Holding eye a need to launch its new venture, Manager Peter Zachariassen tells ShippingWatch. One is the OW Bunker bankruptcy in 2014. The other will happen two years from now. Bunker Holding is officially launching its new venture in physical marine fuel deliveries via Bunker One. The firm will start off with 79 employees across offices in 12 countries. Bunker Holding via joint venture Kaeline Group has acquired the Dutch bunker supplier SBI. The companies do not disclose the price of the takeover and negotiations began around six months ago. Virtually all employees of now-defunct Endofa DMCC in Dubai have been brought over to a new company established by Bunker Holding in the same location, management confirms to ShippingWatch. What has Bunker Holding been working on since the major bunker group launched a "secret project" based in London? ShippingWatch has the answer here. Even though Bunker Holding is still calling for some indicators of direction from the sector in light of the 2020 global sulfur cap, the bunker supplier is ready to supply four products, Peter Zachariassen, the company's head of physical, tells ShippingWatch. A random encounter at a copper anniversary party many years ago marked a turning point in Keld R. Demant's career. He currently serves as CEO of Bunker Holding. It is crucial to find a good boss in order to make a career for yourself, he says. The past fiscal year dealt a blow to Bunker Holding's bottom line but did not damage CEO Keld R. Demant's expansion ambitions. "It's an industry that is ready to be changed and consolidated," he tells ShippingWatch. Singapore from the turn of the year will become the first nation in the world to implement mandatory use of mass flow meters. The move will reduce complaints, but it would be utopian to think that the regulation will put an end to bunker disputes, says one of the biggest players in the market, KPI Bridge Oil. Size is now crucial in terms of securing sufficient financial resources in the bunker sector. Consolidation will therefore be inevitable in the time to come, says KPI Bridge Oil's managing director, Singapore, in this interview with ShippingWatch. Bunker Holding has come closer to its declared target of being the world's largest bunker company after increasing its market share significantly in the past year, while rival US World Fuel Services seems to have come to a full stop. Approximately one year ago, Bunker Holding acquired the world's largest brokerage firm. Today the bunker carrier is in the midst of concrete negotiations for a new acquisition, CEO Keld R. Demant tells ShippingWatch. Bunker Holding chief executive Keld R. Demant is pleased with the company's result in the past fiscal year. But competition is fierce and the battle continues on all fronts, he tells ShippingWatch. In the wake of bankruptcies at major bunker companies, safeguarding against similar scenarios is no simple task. It does not matter if companies are traders, physical suppliers or brokers, says the CEO of Dan-Bunkering, Henrik Zederkof, who cautions against oversimplification. Denmark's Bunker Holding is at the center of a flood of rumors in the international bunker industry after a round of layoffs on Friday. CEO Keld Demant presents the facts to ShippingWatch. One year after the collapse of OW Bunker, the global bunker industry is forced to handle bank deals with great caution. Mortgages in invoices can make customers panic, as Peninsula has experienced. Bunker Holding has deliberately opted to keep the banks out of it. American World Fuel Services and Danish Bunker Holding have set themselves apart as the world's two biggest bunker companies. "We are in effect playing a part in the future development of the industry," says Bunker Holding CEO Keld Demant in an interview with ShippingWatch. Amerikanske World Fuel Service og danske Bunker Holding har skilt sig klart ud som verdens to største bunkerselskaber. "Vi er inde og spille en rolle i, hvordan industrien skal forme sig fremover," siger Bunker Holdings CEO, Keld Demant, i et interview med ShippingWatch. 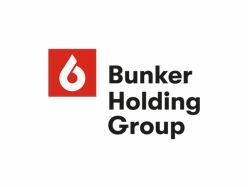 Danish bunker group Bunker Holding increases its financing facilities by 50 percent with a new and comprehensive credit agreement with Danish and international banks for a total USD 650 million. The company already has plans for the money. Denmark's Bunker Holding has acquired one of the world's biggest brokers active in bunker. The negotiations have been underway for six months, CEO Keld R. Demant tells ShippingWatch. 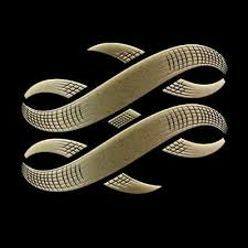 Danske Bunker Holding har overtaget en af verdens største mæglervirksomheder inden for bunkers. Forhandlingerne om opkøbet har stået på i et halvt år, fortæller CEO Keld. R. Demant til ShippingWatch. As many as half of the global bunker suppliers will disappear from the market, predicts Bunker Holding CEO Keld Demant in an interview with ShippingWatch. The bunker company has just published a record result.